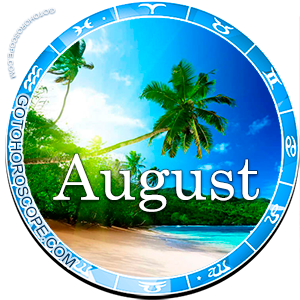 August 2014 Horoscope Capricorn, free Monthly Horoscope for August 2014 and Capricorn Astrology Forecast for the month ahead. 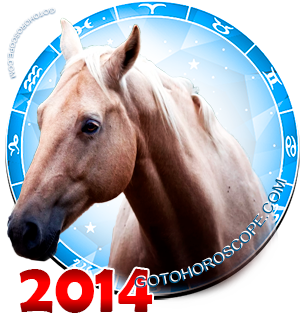 August 2014 will be a complicated time for most of the Houses, and the Capricorn will not be an exception. From the First Lunar Quarter (August 4th) straight until the New Moon (August 25th), the House of Capricorn will be followed by all sorts of misfortunes. Well, more correctly - potential misfortunes, as you should not rush to define the negativity not yet manifested, just forecasted. First, a person is most frequently possessive of enough strength to change everything for the better. Second, the paths of celestial bodies are unpredictable and who knows - maybe everything will turn for the better at the last moment. One way or another, but the Capricorn should protect himself. Do not go for any large events, any active body movements, keep everything in the frame of a quiet existence. Perhaps someone will see this as a problem, but unfortunately, there is no other way. The Moon, responsible for the "expulsion" of the Capricorn House, will focus the waves of its active negative energy on the sphere of entrepreneurship and business. Meanwhile, the direction of personal relationships will be "blocked" by the negativity of Jupiter, responsible for the "fall" of the Capricorn. In addition, the generally negative energetic combinations will not affect Saturn, the planet-ruler of the Capricorn, in the best way. Saturn will most likely lose a lion's share of his energy. However, Mars - the planet-exalt of this House, will receive additional power due to its status of the "celestial leader" of the Earth trigon. He will try to help the Capricorn. 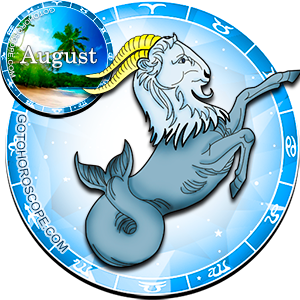 In the work direction, the Capricorn may hope for hefty bonuses from fate in August 2014, though he should definitely not rely on them. There is too much negative astral energy. Therefore, it will be better to concentrate on the fact that there is no need to display extra activity. Work, but do not overwork yourself, as workaholic tendencies will not only not provide you with gain, but also will most likely be malicious. So forget about major projects and your "Napoleonic" plans at least for this month. This will allow you to divest your attention and focus on actually important moments. Such as, for example, your relationships with your colleagues. This theme will be especially relevant in August. Do not miss corporate events or any kind of mass events for any reason. You do not have to be the center of the program (more likely you should avoid this), but attendance is mandatory. As a result, you will receive some unexpected bonuses, which will distinguish themselves with time. In your relationships with your lover, you should also not hope for an extremely positive development of events. It is likely that the first ten-day periods of the month will not distinguish themselves with being especially problematic. However, from the first days of the third ten-day period, you will most likely have to face impenetrable hysteria, the motivation of which will be impossible for your brain to comprehend. What to do in such a situation depends on you, or more precisely on the circumstances. Some people will decide that this was the last drop, some will just consider this, and others will smile and use their unyielding positivity to defeat even the toughest negativity. You should not underestimate the power of positive emotions, though the decision is yours after all. In terms of your relationships with friends, everything will go the way it should. It is unlikely that you will face some issues worth mentioning. Everything will be joyful to a limit, interesting to a limit. Within the limits of your family hearth, however, you need to exercise extra caution, to avoid wakening a sleeping volcano. Someone from your close ones will be evidently "locked and loaded" and the worst decision in this situation will be to let them blow off steam. To prevent this from happening, be very careful, leave jokes and pranks for better times. I read the Augest for capricorn in all differently way.I think this website tells wrong. So, negative for us capricorns. Nothing good!